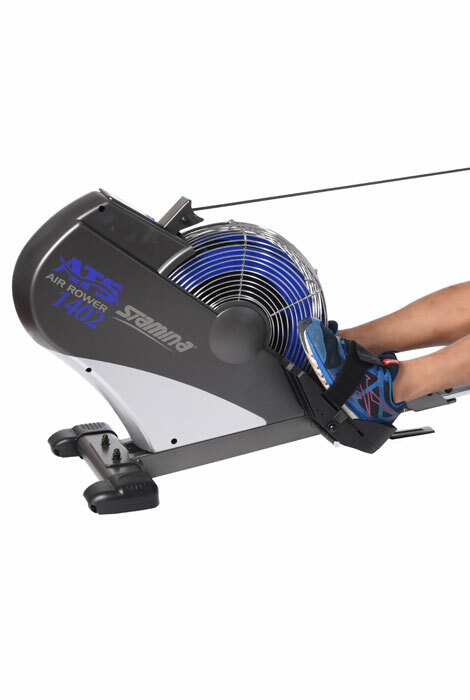 Targeting all major muscle groups to work arms, abs, legs and glutes, the Stamina® ATS Air Rower 1402's Air Transfer System (ATS) lets you set the pace—constantly adjusting resistance to match your rowing speed. Row harder and the resistance increases; slow your rowing stroke down and resistance decreases. Providing an effective aerobic workout while minimizing impact on your joints, its workout monitor displays strokes per minute, total strokes, distance, speed, time and calories burned. 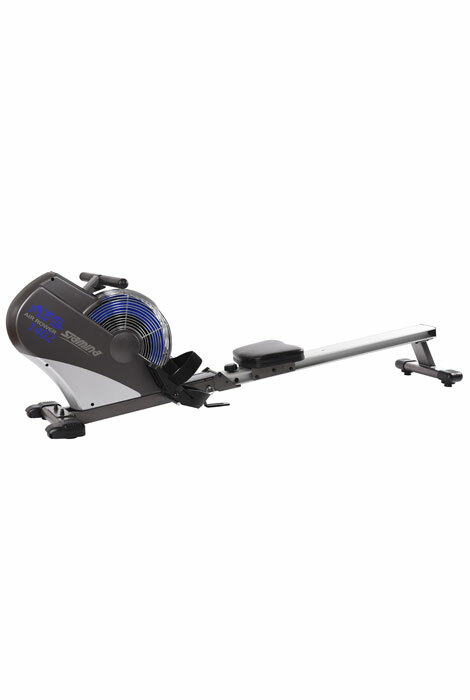 Loaded with features, this rowing machine's textured handle and oversized foot pedals add to your comfort and stability. Wind resistance provides efficient, smooth rowing stroke. Seat is padded and upholstered for comfort and engineered to slide easily. Oversized, angled aluminum seat rail supports smooth-sliding seat and easy seat return. Boasting sturdy steel construction, its built-in wheels ensure easy portability, and foldable frame allows easy storage. Floor protectors safeguard your workout area and prevent skidding. Stamina® rower measures 73 1/2" long x 18 1/4" wide x 22" high overall. Weighs 55 lbs. ; supports up to 250 lbs. Wipe clean. Some assembly required. No express shipping. Allow 2-3 weeks for delivery.